10th edition © 2012, updated for preparation for the new question pool effective July 1, 2012 - June 30, 2016. 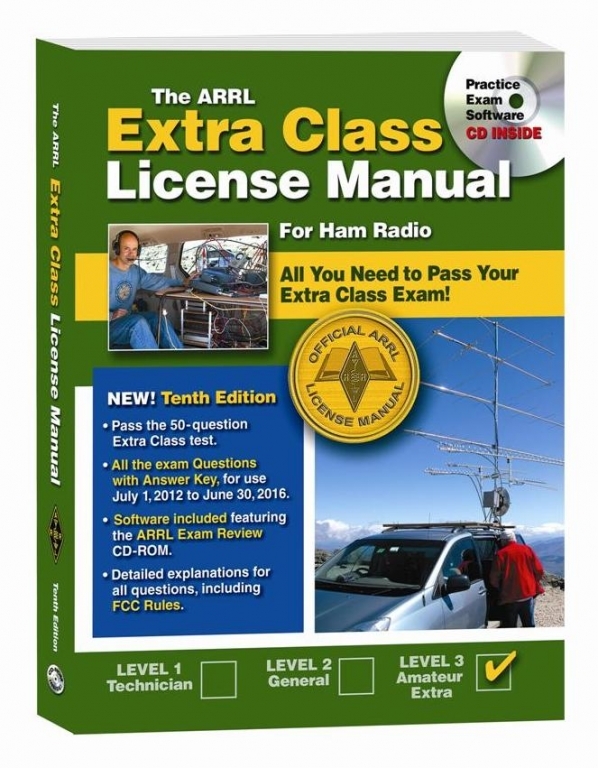 The ARRL Extra Class License Manual is your ticket to every privilege granted to Amateur Radio Operators. Our expert instruction will lead you through all of the knowledge you need to pass the exam: rules, specific operating skills and more advanced electronics theory. As an Extra Class licensee, you will have full privileges on all frequencies authorized by the FCC for Amateur Radio. To upgrade to Extra Class you must already hold a General Class license (or have recently passed all of the exams required for a General Class license). Upgrading to an Extra license only requires passing a written examination. This Web resource is designed to provide additional information for you as you study for your Extra Class Amateur Radio license. 3rd edition © 2012, updated for preparation for the new question pool effective July 1, 2012. Fred Benson, NC4FB, offers an online Extra license exam study program that covers the FCC Amateur Extra license question pool sequence. Benson offers mentor support. Dave Casler, KE0OG provides a guided self-study video course based on ARRL's Amateur Extra License Manual curriculum. Jack Tiley's, AD7FO, often requested study guide offers material arranged in the original numerical order of the VEC question pool. You'll find concise explanations, well-thought out graphics and step-by-step calculations for the mathematically based questions. His guide has been recently updated for the 2016 question pool. Additional math tutorials from Paul's Online Math notes.